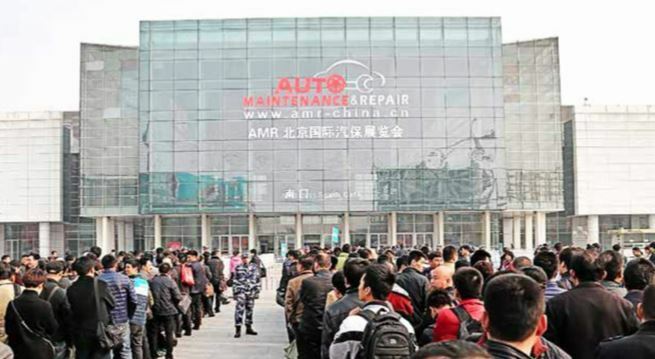 The 2019 staging of the Automotive Maintenance and Repair Expo (AMR) will take place from 21 – 24 March in Beijing’s New China International Exhibition Centre, with expanded special zones and the debut of a new German Pavilion. The show organisers believe the latest addition will allow buyers to explore a more comprehensive exhibiting platform, and will enable them to connect with some of the most influential names in the overseas market. This year’s fair will feature more than 1,300 exhibitors across 120,000 sqm of space, covering the most recent advances in garage and collision equipment, testing, diagnostics equipment and tools, repair, car care, parts and more. In recent years, the automotive industry across China and throughout Asia has seen continued growth, driven by the increasing automotive ownership. This trend is expected to continue rising in the coming years, which has encouraged many key players across the value chain to tap into the country’s auto market. With this, the repair and maintenance sector in particular is seeing more and more demand for new and innovative product ranges and services. This demand is expected to be evident at the show, where it is forecasted that over 8,000 brands from across the world will exhibit. A number of regional and overseas participants have already confirmed their place at the show, including 3M, Akemi, Anche, Aotobacs, Atlas, Tapes, AUI, Autel, Axalta, Baozhongbao, Beiersdorf, Bost, Bright, Carbon Zapp, Celette, Christ, Corghi, Cosber, Dali, DEVILBISS, EBI, Faret, Festool, Fly-eagle, FRL, Gaither Tool, Gaochang, Giuliano, Goodlife, GSP, Guangli, Gulf,GYS, HF, Himore, Horn, Hunter, JB, JBT, JTC, Launch, Lukoil, Mirka, Monarch, Nanhua, Ominent, Oufeng, RAV, Ruiming, Saint Gobain, SAND, SATA, Sata tool, Sensen, Sicad, Sino-Italian, Snap-on, SORL, SP, Stertil, Tech, TELWIN, Tiptop, Uniler, Whale, Yokistar and ZLDC, from countries such as Greece, Italy, Korea, Malaysia and the US and more. This year's AMR, will see visitors benefit from more strategic hall planning to provide more enhanced coverage and easier navigation across different areas of the repair and maintenance sector. Halls have been categorised into specific zones to support match-making for both buyers and exhibitors. These zones include Spare Parts, Car Care, Lubricant Oil and traditional Repair and Maintenance, each of which will feature special sectors to highlight the industry’s most intricate areas further. For example, the aftermarket and new energy vehicles sectors will have their own dedicated area to cover each of these specific trends, while spare parts and lubricants will span across 20,000 sqm of space alone. Some of the significant trends under the spotlight within the fringe programme include lubricant oils and the automotive aftermarket supply chain, the development of the repair industry under environmental policy changes, and how the automotive aftermarket is influenced by the development of new energy vehicles. Other interrelated topics will focus on the challenges and opportunities for traditional auto parts dealers, workshop profit patterns and marketing strategies for tyre shops. Participants can also attend the 2019 Automotive Aftermarket Brand Festival,which is being hosted at AMR.